@PoloPl, Jesus, how long was this in uncut? @basrrf, looks like it’s been there for as long as Uncut has been a thing! He has to be taken in. @The Freaking FBI, I do the same thing, you'll never catch us all. 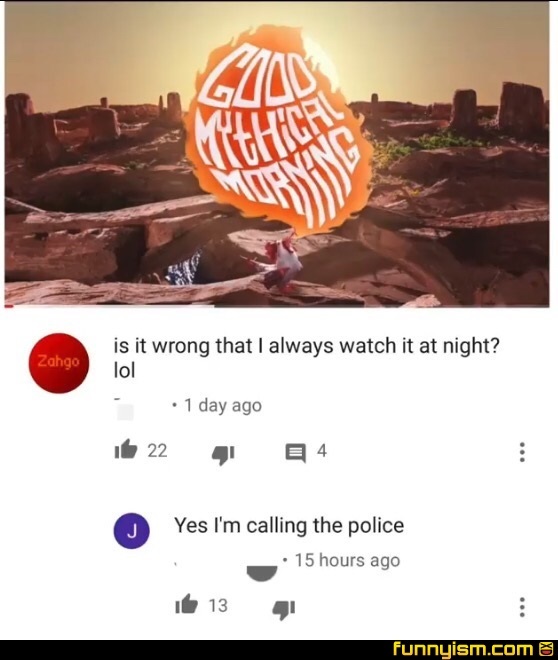 I watch it at 3 in the morning, so technically still morning. Just no sunrise. List of youtubers that actually deserve success. But I'm 3rd shift... night is my morning.